A deliciously thick Greek yogurt that’s low in sugar, low in calories, and made without artificial sweeteners? 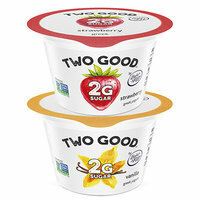 It’s not too good to be true… It’s Two Good Greek Lowfat Yogurt by Light & Fit! This yogurt is made with a slow straining method that removes sugar from the milk, resulting in a cup of creamy goodness with 85 percent less sugar than the average yogurt. WOW. Click to locate, and pick some up ASAP! Unique product alert! This mix of diced portabellas, herbs, and other veggies reminds us of bruschetta topping, but with an emphasis on mushrooms instead of tomato. Spoon it over spaghetti squash, egg scrambles, and chicken breast, or serve it as a dip with cut veggies and crackers! 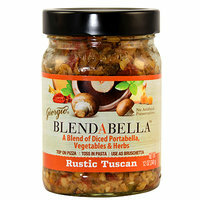 It comes in three flavors, but our top pick BY FAR is the Rustic Tuscan! Find it in select grocery stores nationwide -- like Kroger, Wegman's, and Walmart -- or order online. 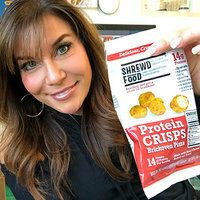 We first tried this frozen entrée along with some others on “The Supermarket Shopping Episode” of the Hungry Girl podcast, and it definitely stood out from the pack. 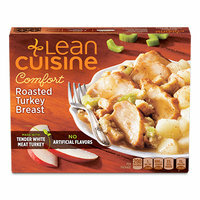 This is portion-controlled comfort food at its finest! We love that the turkey is paired with stuffing and cinnamon apples… It's like dinner and dessert in one convenient heat & eat package. Click to track it down… Future you will thank you! The Results of Our First Annual SNACK AWARDS Are In! Click here to listen… anytime, anywhere! You can also find the Hungry Girl podcast on Apple Podcasts, Google Podcasts, Spotify, and more. Oh YUM, it's National Stuffed Mushroom Day, February 4th. They aren’t just for parties, people… Our Tuna Melt Stuffed Mushrooms and Pizza-Stuffed Mushrooms are great any day of the week! Share today’s food finds with all your food-loving pals… Click “Send to a Friend” now!